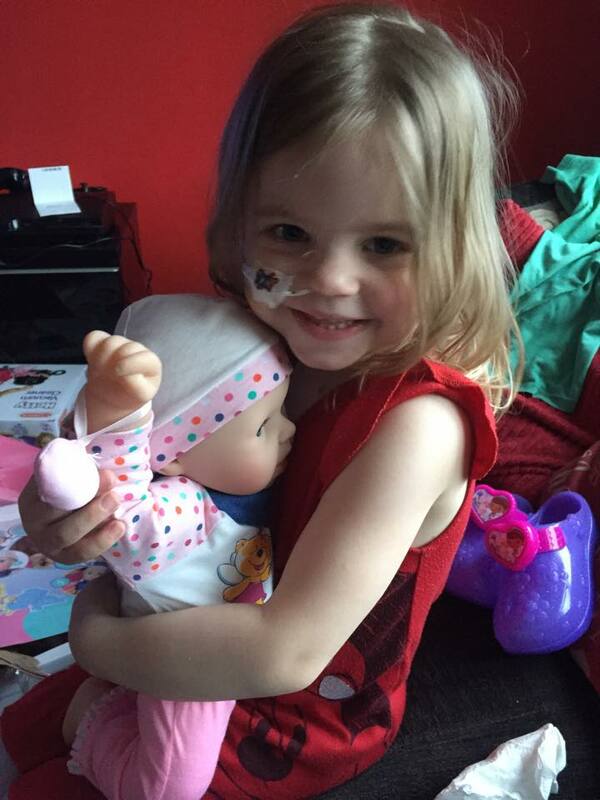 Sienna was diagnosed with Stage 4 High Risk Neuroblastoma ( an aggressive form of cancer of the specialised nerve cells called the neural crest cells) in November 2012 at 20 months old. We knew our precious baby had one heck of a fight on her hands, no words could ever describe how this broke our hearts. 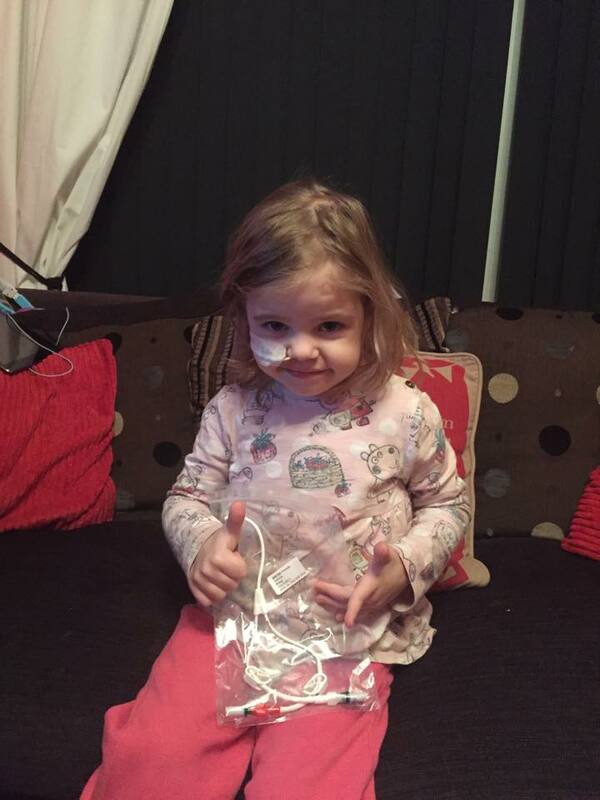 Not only was Sienna battling cancer, she was also diagnosed as having a rare form of heart muscle disease called cardiomyopathy, with very poor heart function. 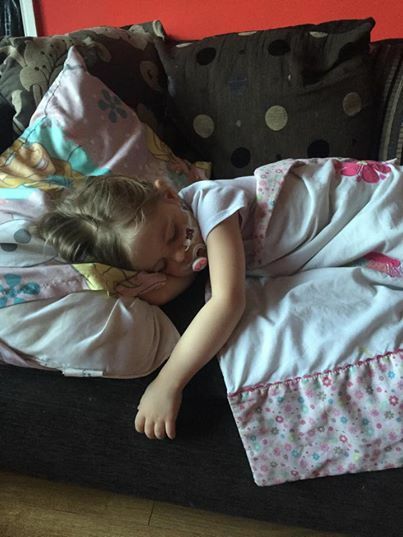 Sienna's treatment options were limited but nobody knew the fight our precious baby would put up. We have set this fund up on behalf of our darling daughter as the relapse rate for neuroblastoma is incredibly high with no protocol in the Uk and treatment options overseas are not funded by the NHS. 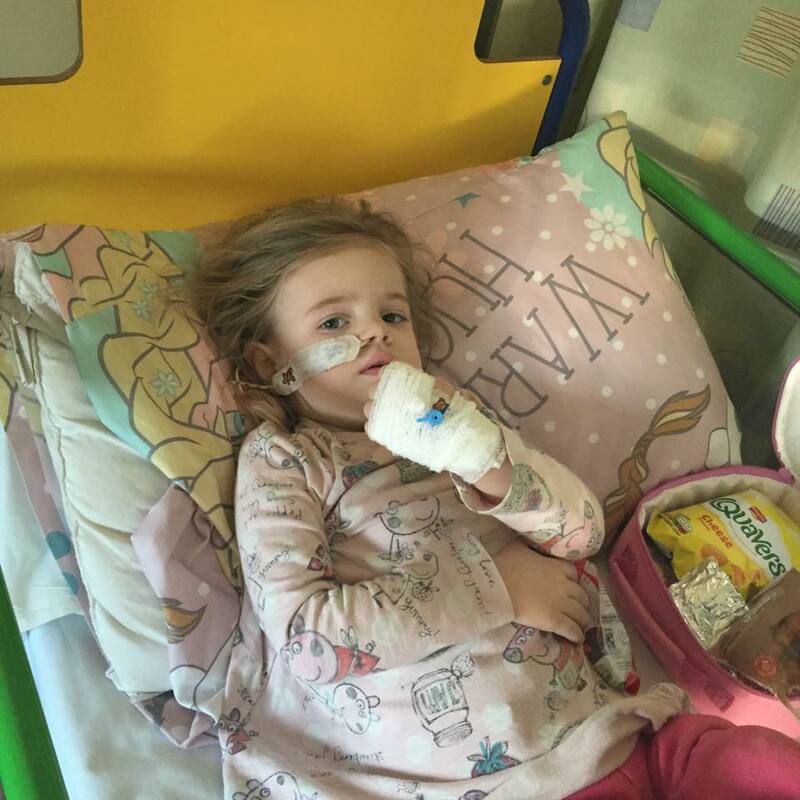 As Sienna's parents and with your help we need to give our baby the best options available to beat this deadly disease, we cannot do it alone. Thank you to each and everyone of you for taking the time to read this, it means so very much to us at such a distressing time and every single penny really does count, thank you so much for supporting our baby girl Sienna Elizabeth Riley. Siennas not been herself for the last few weeks, unsettled, really tired, tummy ache and just generally saying she doesn't feel well. I took her to the doctors and it turned out to be urine infection so was treated with antibiotics. She started to pick up, however, she's not been herself again today, one minute she's really tired and crying and the next she's trying to keep up and play. Not been eating as much as normal. Spoke to her oncologist today as I just wanted reassurance it was just her body trying to readjust after all the treatment she has been through, as I know it will take her time to try and recover. Sienna has an opthalmology appointment on the 10th September so have been advised to take in a urine sample to check the VMA/HMA to hopefully reassure me that all is ok. Like I said to her oncologist people say she looks good and she does but she's not her normal self. The worry never ever stops! 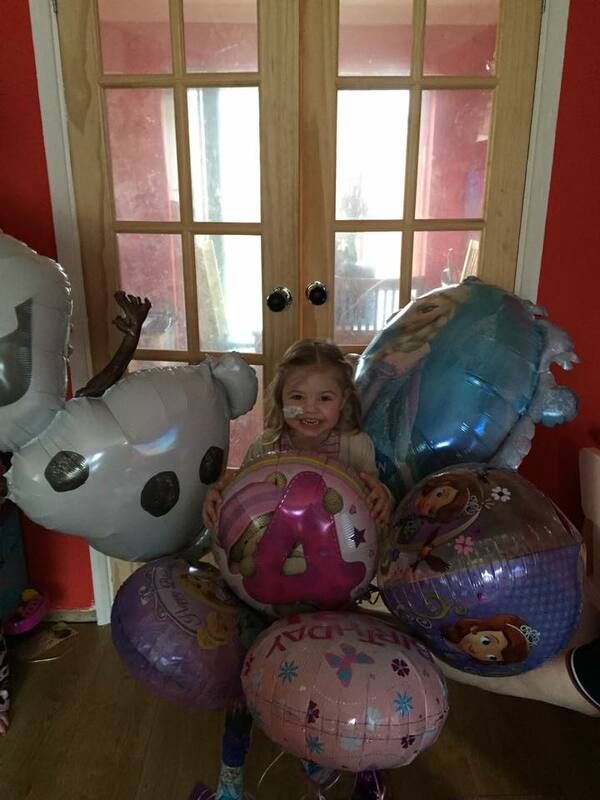 Happy 4th Birthday to the most beautiful, bravest, heroic, inspirational little girl I know my wonderful little daughter Sienna. Wishing you a magical day today and always. I cannot put into words how proud I am of you and how much I love you. The first birthday since a baby that doesn't involve a hospital stay or visit, the first birthday in remission, the first birthday you can be free to enjoy the day and have enough energy to open your presents and play. The first of many my precious princess. Happy Birthday love you always and forever. I am so so pleased to read the good news. This is just fantastic and I look forward to following the happier road her journey is about to take. I just finished snuggling up on the sofa with my girls watching a movie. They've gone off to play now, and I read your update. I can't imagine your pain, but if I try to imagine how I would feel if one of my girls had Sienna's conditions I start to cry. I wish I knew you and could offer some comfort and strength. As it is I will dedicate Tuesday to praying for Sienna and asking the Universe, God or whatever is listening to help her pull through. I believe Princess Land could be a magical place where a little girl can go to play and escape real life. I wish my girls, Ella and Lily could meet Sienna there and play My Little Pony princesses (their favourite game) with her. Even though we here have never met her, perhaps you may tell Sienna that there are people in the world who wish her well again and back with her family. Sienna has been so brave. As someone who has had cancer treatment I know how onerous it can be - and mine was nothing like as bad as it seems Sienna's is. My thoughts and hopes for a successful outcome are with you all. Keep strong . I strongly urge you to contact St. Jude's Hospital in Memphis, TN. No child is ever turned away due to inability to pay. They also have a protocol for Neuroblastoma. Wishing you the best. This can be beat! So whilst constantly trying to promote Our Animals gym business through various social networking sites hoping that one day we will make enough money to live a luxury lifestyle (because that's what life's about..isn't it?) I came across a page that literally broke my heart and made me see the real importance of life, maybe it got to me more so now than ever before because I have been blessed to become a mummy to a beautiful, healthy little girl and now see how precious the little things in life really are...so Instead of constantly thinking about the bank balance and after realizing that I have everything in life that makes me wake up smiling everyday already..I'm asking you to please take the time,help, donate or even just support me & Animals Gym to raise money for little Sienna, a very special 3 year old girl battling neuroblastoma and cardiomyopathy an aggressive cancer...treatment is available abroad but at a great cost I have never met Sienna but have been completely taken back by her story.....raising money for this charity and others in the future is definitely something The Animals team will be supporting look out for Gym challenges/sponsored weight loss and even flapjack sales, where all monies will be donated to Sienna's journey you can follow her journey both here on facebook and twitter!